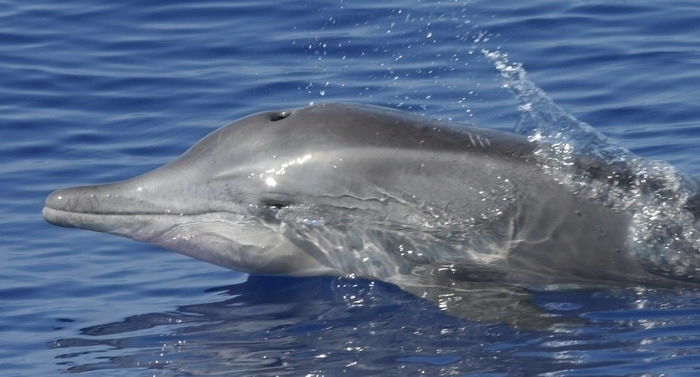 You may be curious about how the Rough-Toothed Dolphin got its name. 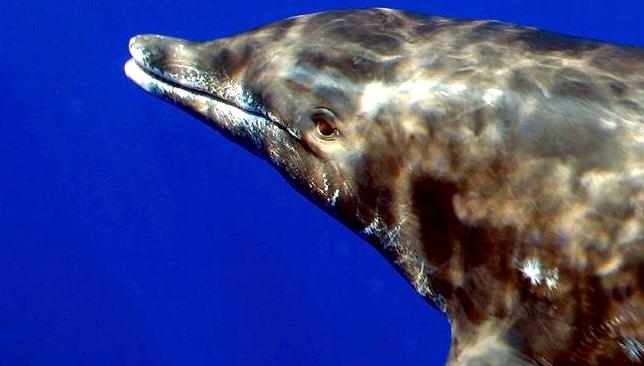 It comes from the fact that they do look prehistoric & reptile-like compared to other cetacean species. They actually have ridges and wrinkles that appear on their teeth. The number of teeth ranges from 19 to 28 in each of the 4 sections of the mouth. 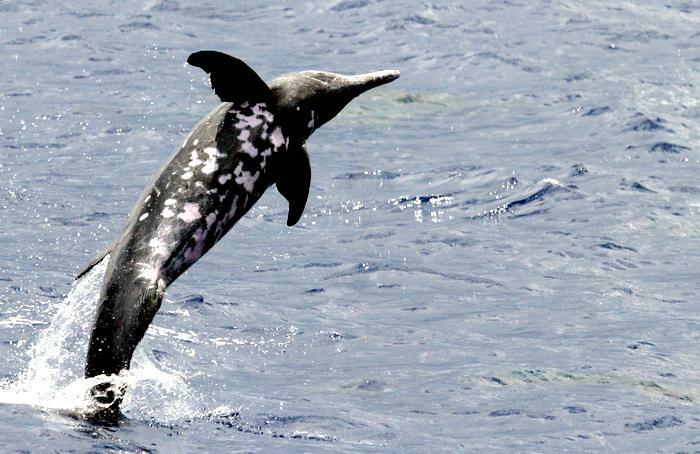 The narrow appearance of the beak for the Rough-Toothed Dolphin is one of the first things that people notice about it. 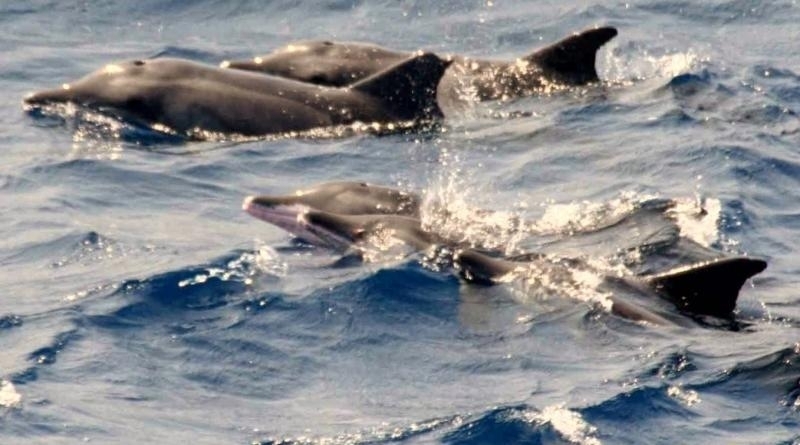 They are small dolphins with a length of about 8.5 feet and a weight of about 350 pounds. 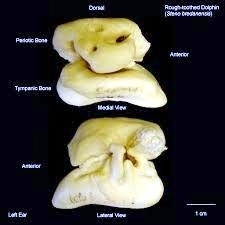 The head is also small and they don’t feature the crease in the melon like other dolphins do. 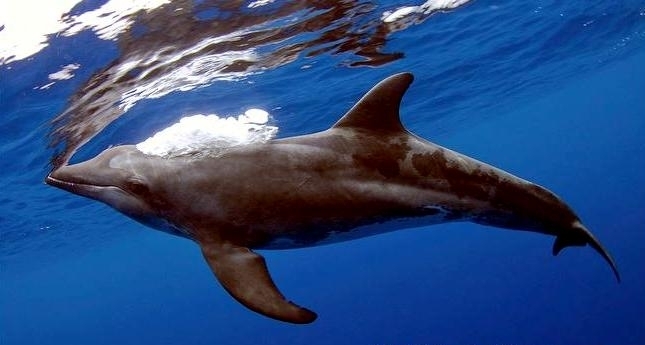 The dorsal fin of this dolphin is large and it is longer than for most species. It is found at the middle part of the back. 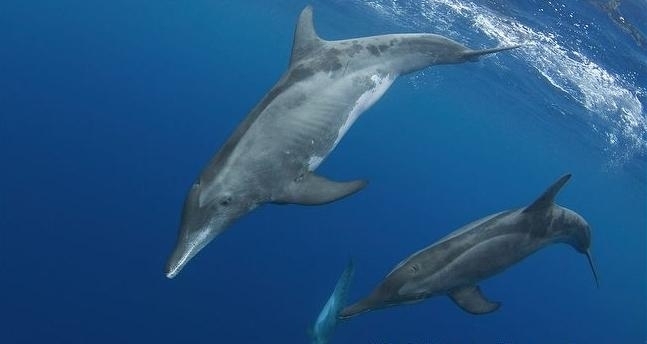 They also have longer pectoral fins. 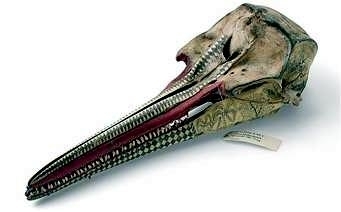 They have a dark gray colored body with white around the lips and the throat area. 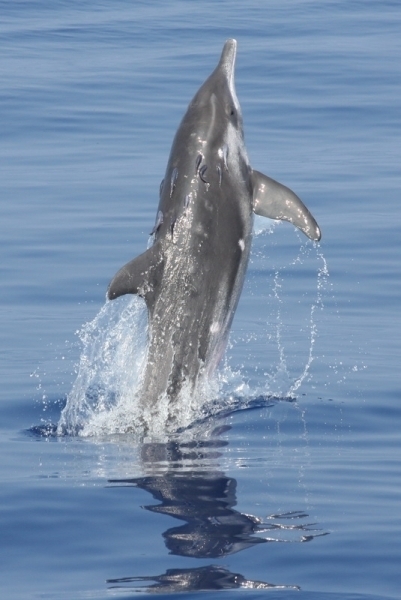 The flanks often have a lighter shade of gray featured. 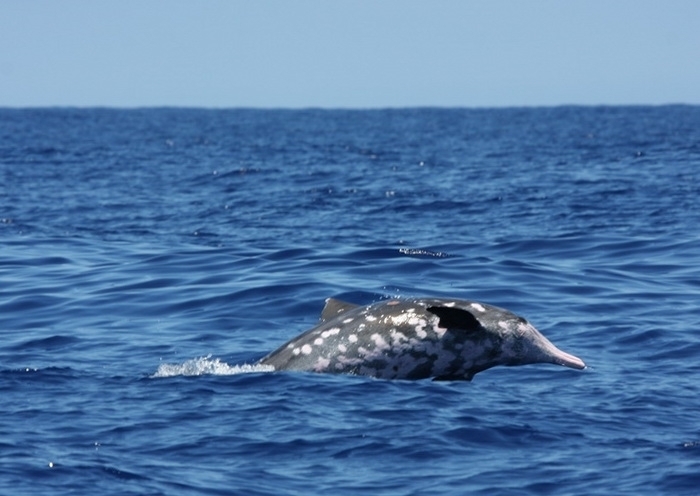 They can also be found with spots along the belly. 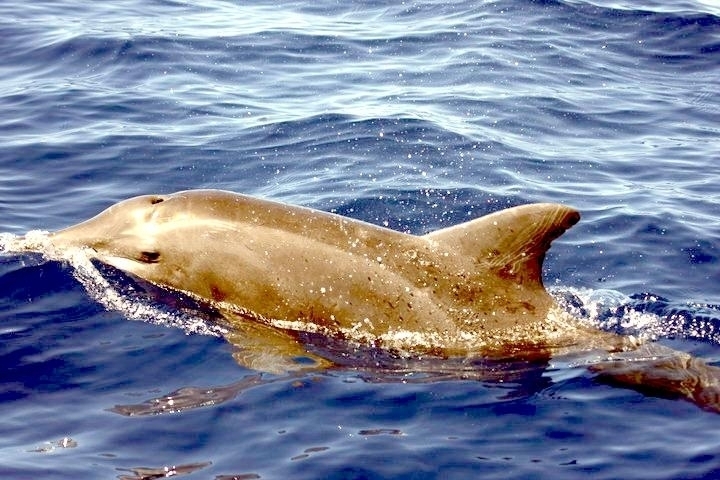 The Rough-Toothed Dolphin is often found with bite marks from scarring as the result of conflicts with sharks. For the older ones, the scars can be white in color and that can leave complete patches on their skin that are white. 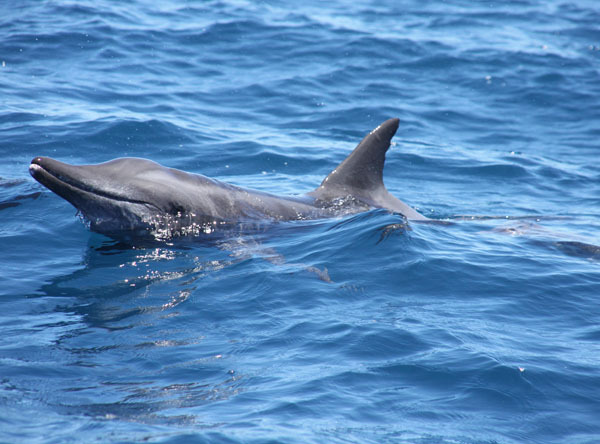 This is one of the bigger species of dolphins, with the adults anywhere from close to 7 feet to just over 9 feet. 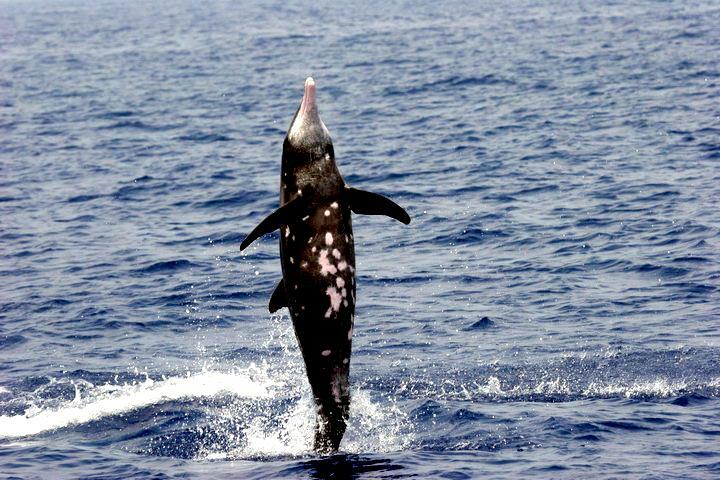 They can also weigh from 200 to 340 pounds. 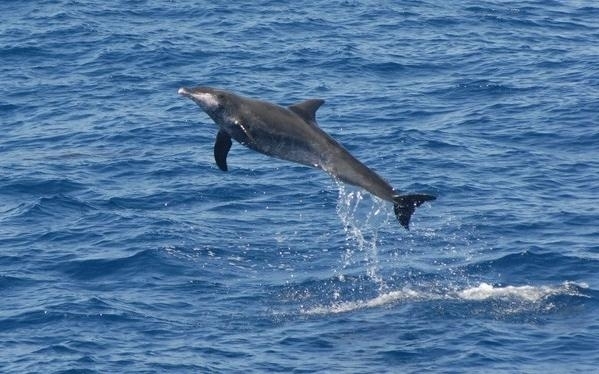 The males are usually going to be larger in size than the females. 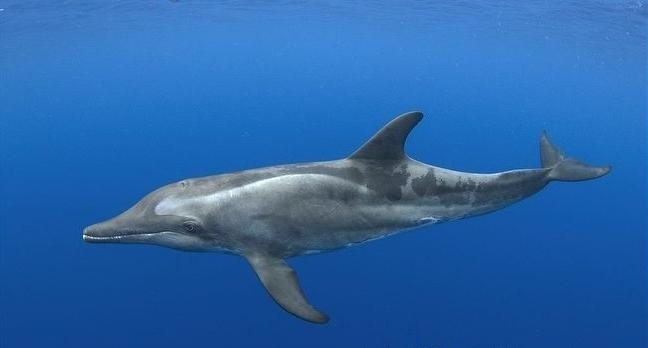 The Rough-Toothed Dolphin is found living in the deeper waters so they are less visible to people who are around the shoreline. 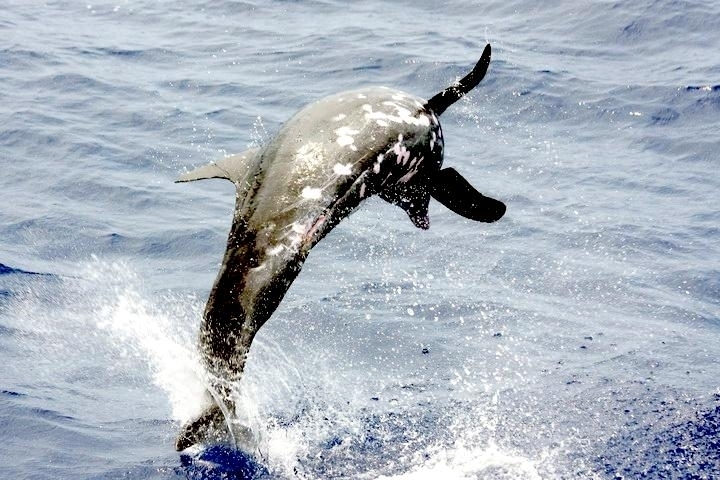 They tend to live in tropical regions with warmer water and they are found in the oceans around the world. 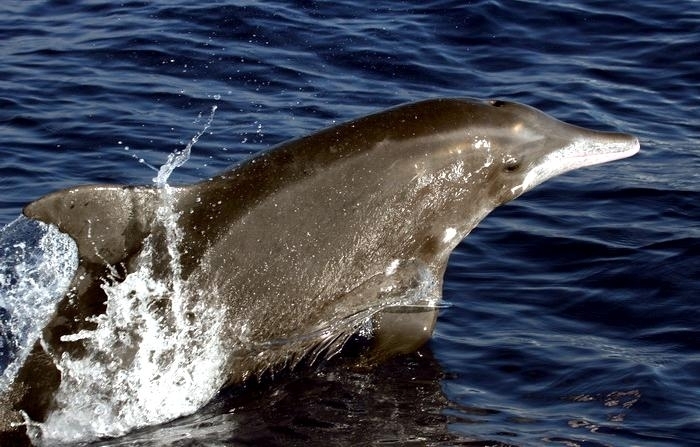 However, the largest population has been identified as living around the eastern Pacific region. 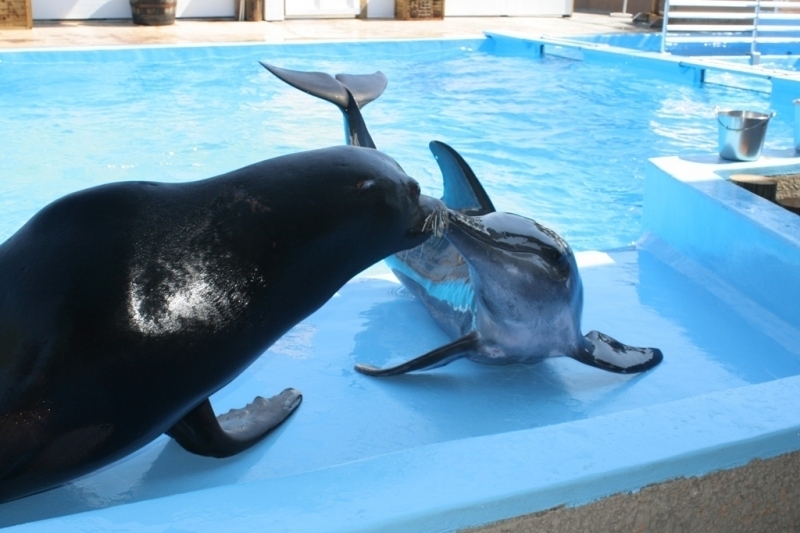 Sometimes they are found to be living in the cooler water climates as long as they can have enough food there. They aren’t often found closer to the coastal lines than .5 mile. 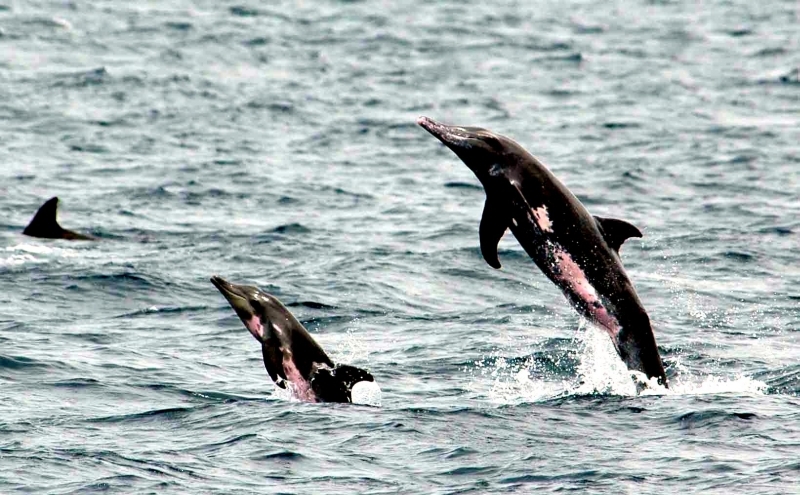 They are usually found in the deeper locations where they can often find plenty of food. 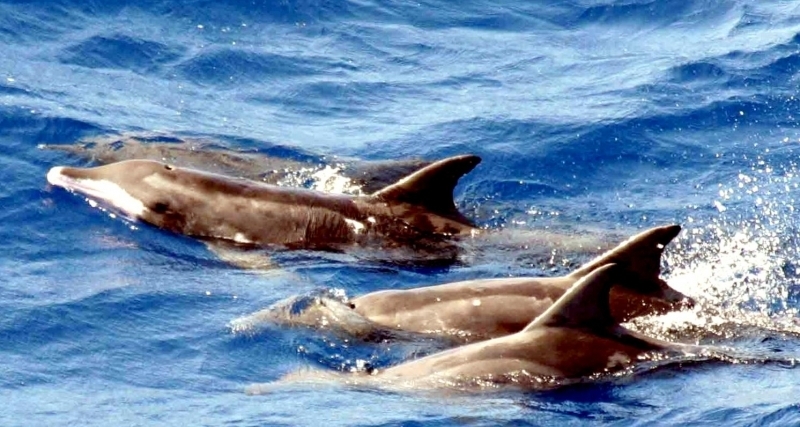 Today, there are populations found around Hawaii and the Gulf of Mexico. 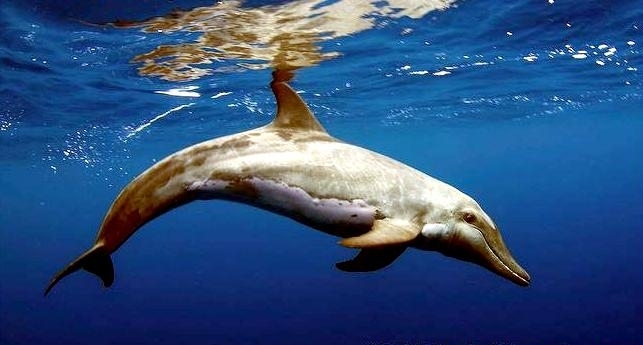 It is quite rare for humans to come into contact with the Rough-Toothed Dolphin in the wild. It is believed that they tend to shy away from such contact. Even when efforts have been initiated for studying them, the success rate has been very low. As a result, it’s hard to learn very much about their behaviors. 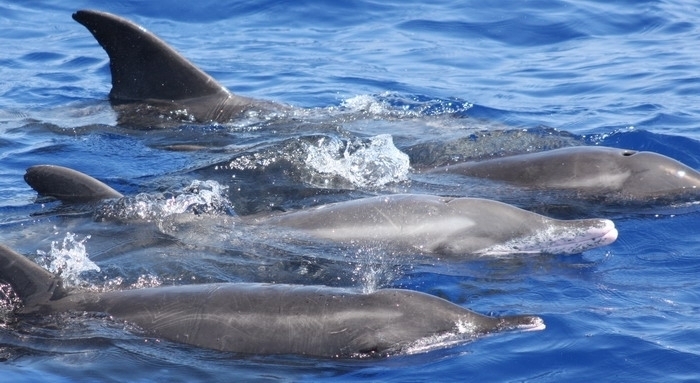 They are known to be social like other dolphins though and to live in small pods. There can be from 10 to 20 members. 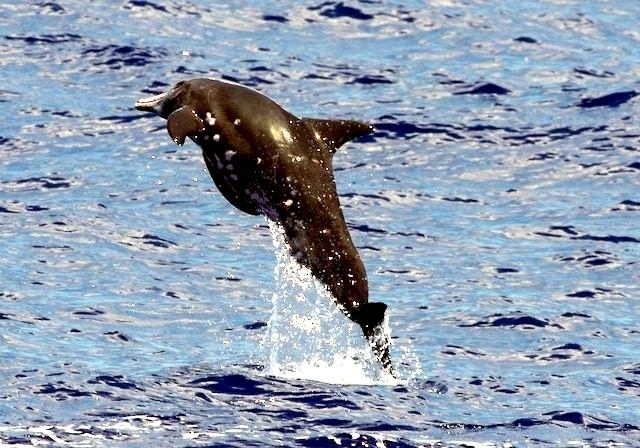 What is very interesting though is the pod found in Hawaii has about 300 members. Within it though are several subgroups that are significantly smaller in size. 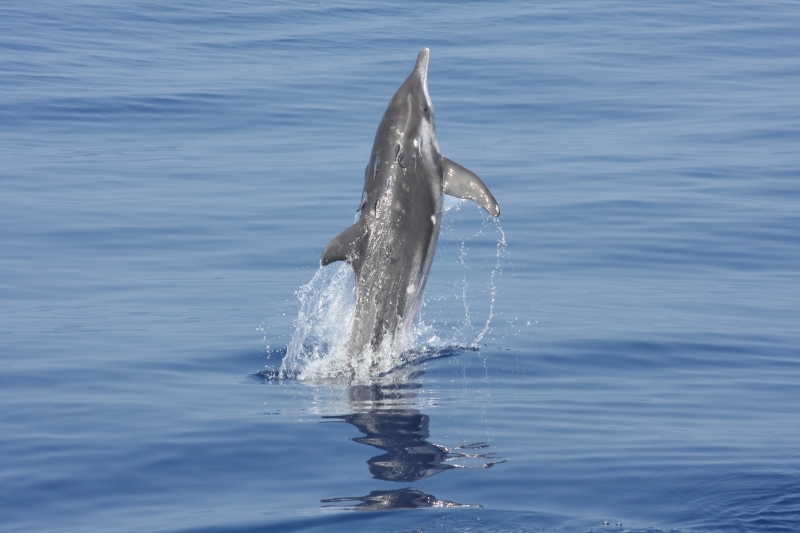 This species of dolphin has been seen interacting with others including the Bottlenose Dolphins and Spinner Dolphins. 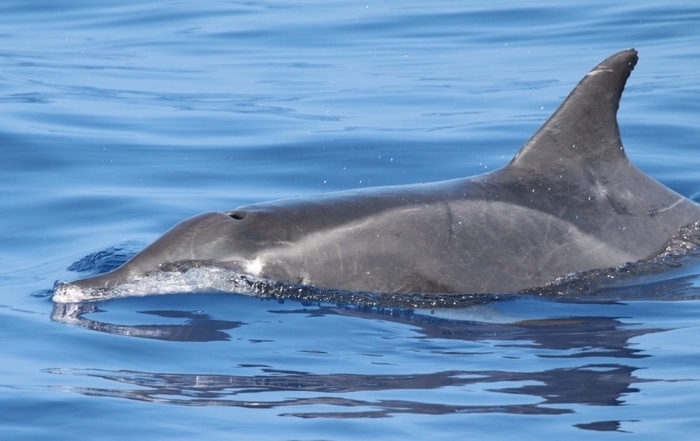 Fish make up the primary diet for this dolphin and they can consume lots of fish every single day. They also consume squid & octopus when available. 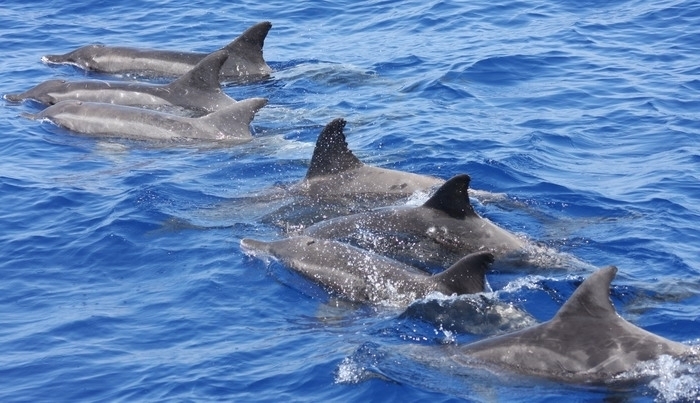 Like other species of dolphins, they work as a team to hunt for food. 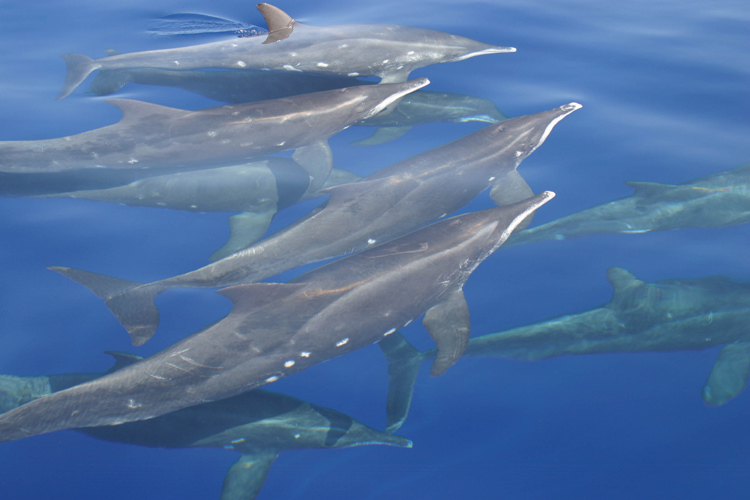 They often circle around schools of fish so that they can’t escape and then take turns eating from that prey. 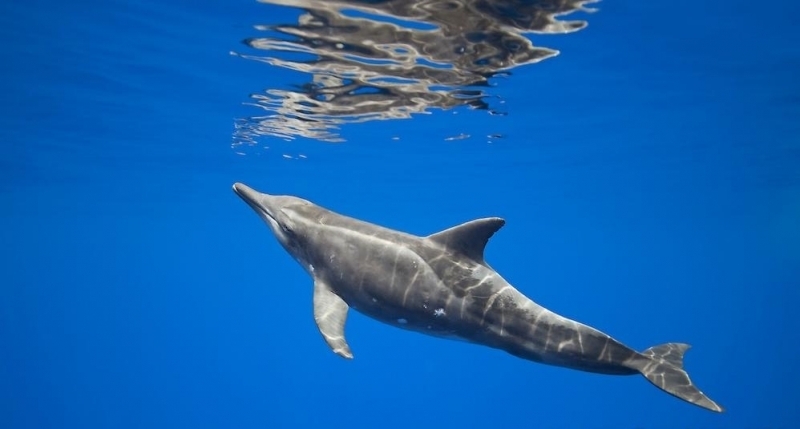 Rough-Toothed Dolphins can stay under water for about 15 minutes before coming to the surface for air. 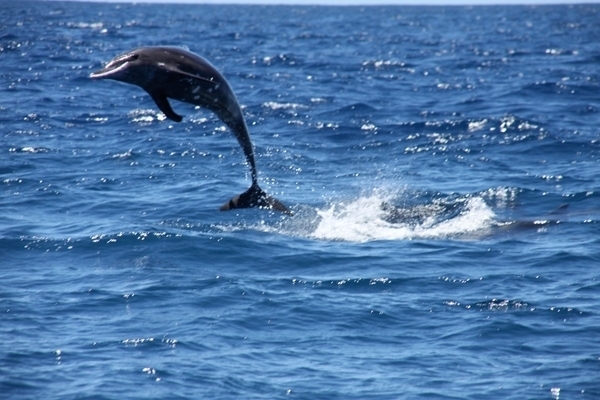 It is possible for them to dive up to 230 feet to get access to food. 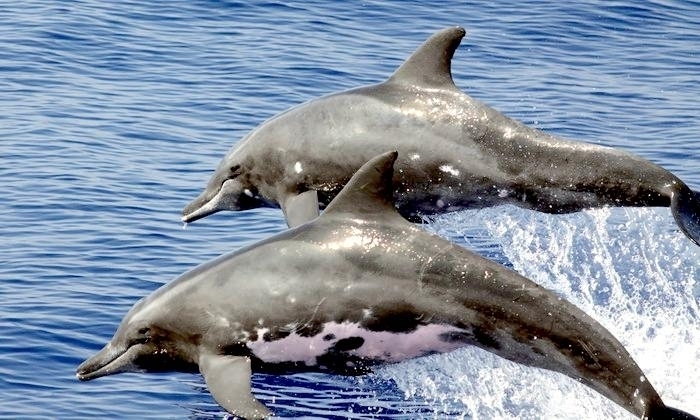 Mating won’t occur until these dolphins are older. 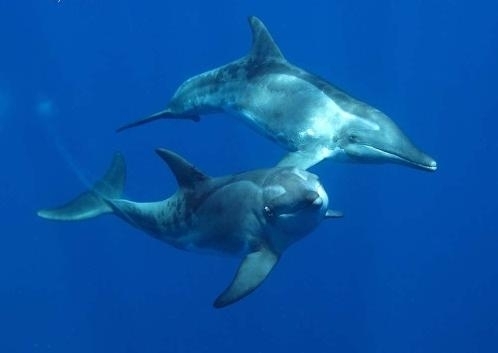 For the females it is about 10 years of age and for the males it is about 14 years of age. This later mating process is one of the concerns for their future. 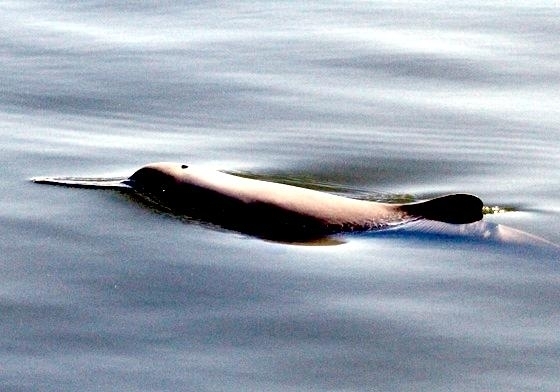 When large numbers of them are being depleted, it is taking a very long time to get those numbers back up even with conservation efforts in place. 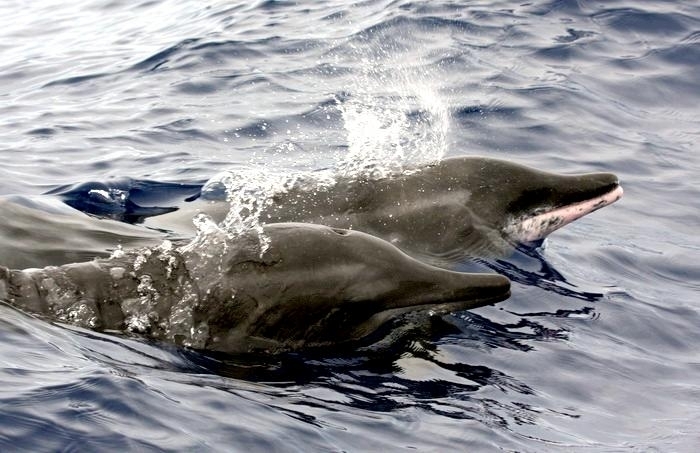 It isn’t known for sure if there is a particular season when mating occurs for Rough-Toothed Dolphins. 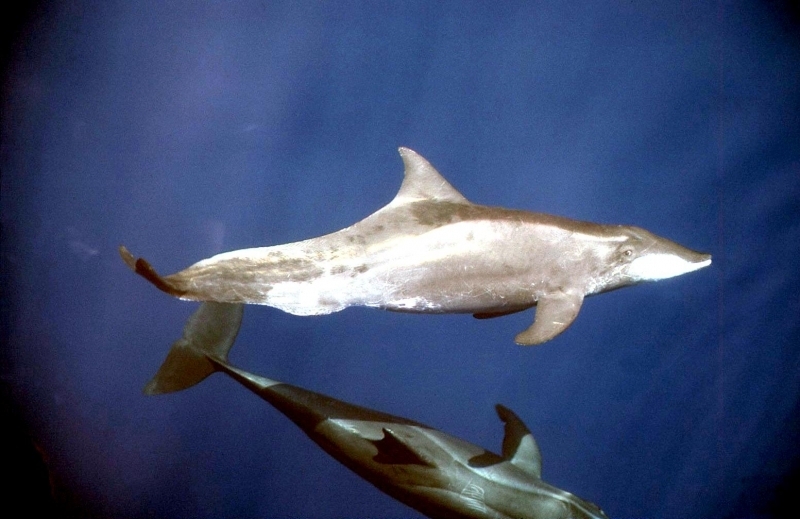 After mating, the young calf is born about 100 days later. Only one is born at a time and it will be born tail first. It can be about 39 inches long when it is born. The young will drink milk from the mother which helps it to gain weight rapidly. 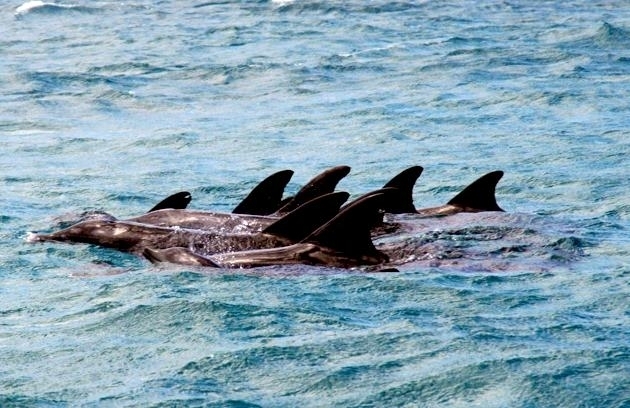 The young are surrounded by the pod members so they are well protected on the inside of it. 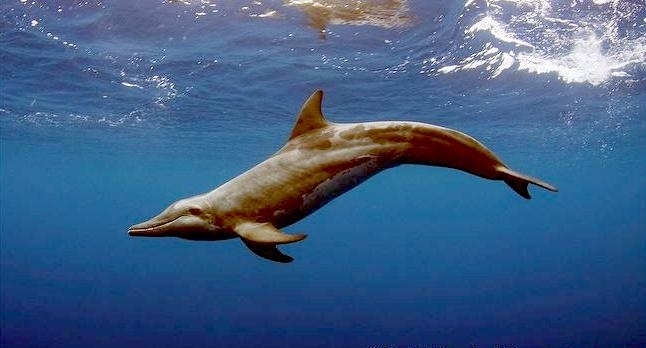 In the wild, the Rough-Toothed Dolphin can live from 32 to 36 years. 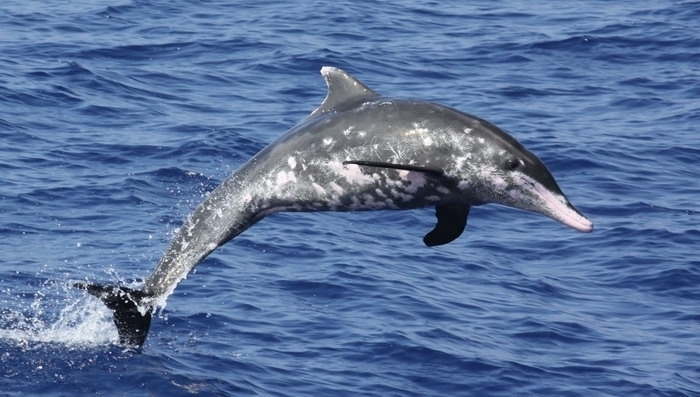 It is estimated that there are about 150,000 of these dolphins living in the eastern Pacific location. There are others out there but getting a good count on their numbers is hard to do. 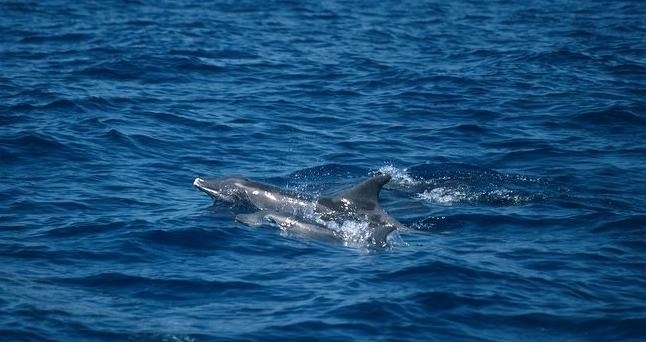 The biggest risk for them is getting tangled up in fishing nets. They can get injured or they can end up drowning as they won’t be able to surface for air. 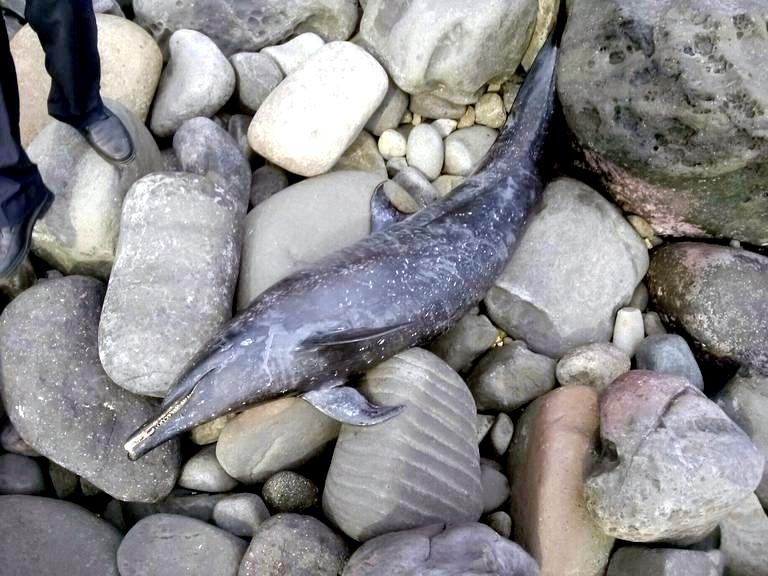 Some of the conservation efforts involve better equipment to prevent this from happening.